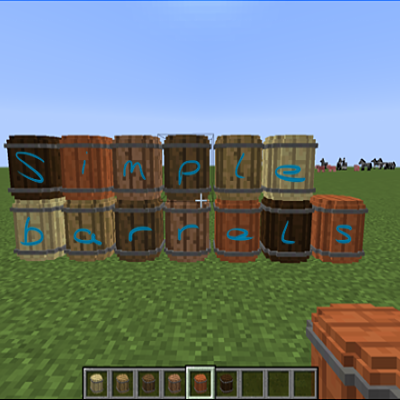 This is the first release for Simple Barrels. Known Bugs : Does not interact with hoppers. Can cause render problems (missing item/count) if hopper placed above or below barrel. Avoid. For now). Adds a barrel for each wood type.